The seals and bearings manufacturer, Morgan Advanced Materials is promoting their pump components as applicable to a variety of applications and industries. Morgan offers a selection of high performance axial and radial bearings, seal face components, rotors and vanes, in a range of sizes and compositions. The pump components are manufactured from specialized formulations of carbon/graphite and silicon carbide materials, giving them suitable tribological and wear characteristics. 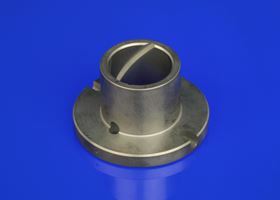 The components are all chemically inert, dimensionally stable products and are used in applications in the aerospace, automotive, chemical processing, healthcare, mining, oil & gas, pharmaceuticals, food and industrial sectors.